It plays an essential role as a part of transport system in the underground coal mine. It is characterized by wearable, high-intensity and long service time, and high working efficiency can be guaranteed. 2、Forging-sprockets, on the chain tracks of the middle plate coated with plasma-spray, welded wear proof alloy, both of line pan channel have undergone medium frequency heat treatment to prolong the service life of products. 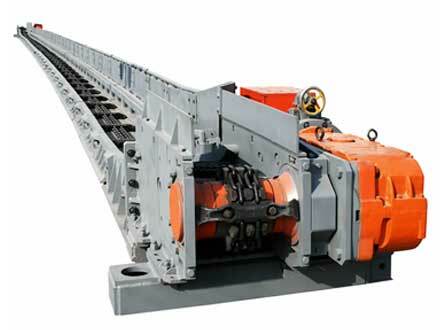 4、SGB630/150C conveyor is suitable for coal in gently inclined super mechanized coalface with medium thickness, Used together with a drum sheerer, hydraulic props and articulated roof-masters, mechanization of cutting. Loading, cowering and supporting can be achieved.